Your auction committee is already hard at work planning for the 2018 auction, which will be held on Wednesday, February 21, 2018. 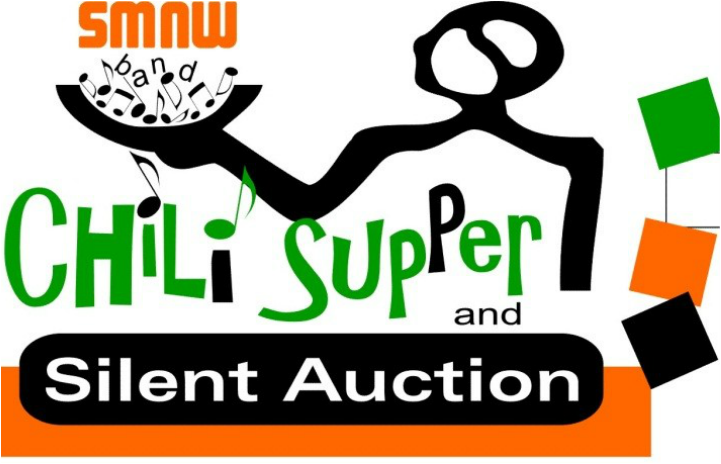 The Band Auction and Chili Supper is our largest fundraiser of the year, and there are many ways you can help. You can donate items, solicit local businesses for donations, help with set-up and staffing on the day of the event, and of course, invite everybody you know! As the holiday shopping season approaches, please keep us in mind if you find a fabulous deal on something amazing. We will also quietly take those gifts you might receive that aren’t quite the right fit. ​If you’re interested in being on the committee, please contact the Auction Chairperson, Bryan Ridgway. We are currently in the process of making calls and visiting businesses to follow up on solicitation letters we’ve sent out. If you’re interested in helping with set-up and staffing on the day of the event, keep an eye out for sign-up opportunities. Please enjoy a fun evening of great music and bid on auction items in between and during performances. Super Silent Auction tables close immediately after final performance. Early check out available beginning at 8:00 pm.